Neurodegeneration & The 3Rs: Models, Mechanisms & Resources. 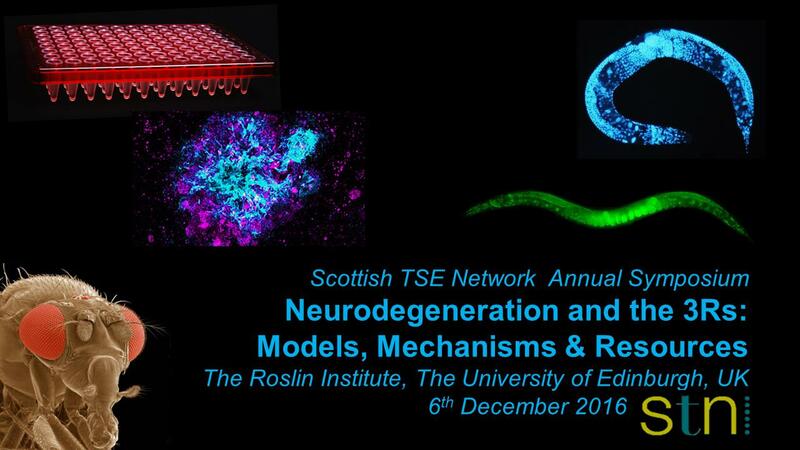 The Scottish TSE Network (STN) will host their annual one-day international symposium at the Roslin Institute (Edinburgh, UK) on state of the art approaches to studying neurodegenerative diseases that are consistent with the 3R principles (replacement, refinement, reduction) of animals in research. Topics will include cell-free protein misfolding assays, human stem cell-based approaches and transgenic C. elegans and Drosophila models, in addition to the opportunities offered by tissue banking and in silico analysis. For more information visit the British Neuroscience Association.